This photograph by Gwen Sharp, a professor of sociology at Nevada State College, shows how much this shopping center in Las Vegas cares about the water shortage at Lake Mead. It also renders how far our illusions have brought us. If we are capable of being fooled by this sign, then we can truly be hoodwinked by any green illusion. The imported water comes from somewhere — an aquifer? another water shed? thousands of bottles of Perrier? — and it seems it would require energy to get it from there to here. The focus on not using a local water source sidesteps the larger question of whether it is environmentally responsible to build ponds and fountains (and grass-based lawns, for that matter) in the desert, regardless of where the water originates. The Hill published my article on renewable energy subsidies. Please feel free to comment on The Hill article rather than on this site. This morning, Goodreads selected Green Illusions as a Top-20 Nonfiction pick for 2012, the first time a book from an academic press has made the annual list. Many thanks for your support! 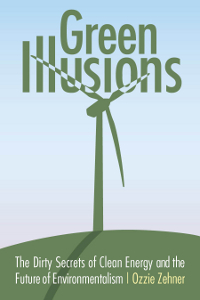 Green Illusions is an environmental book that pioneers a critique of clean energy. But it doesn’t stop there. Green Illusions also delivers three dozen first steps around the themes of environmental justice, overpopulation, rebound effects, energy economics, degrowth, taxes, bicycling, livable neighborhoods, and energy conservation. Though we generally believe we can solve environmental problems with more energy—more solar cells, wind turbines, and biofuels—alternative technologies come with their own side effects and limitations. How, for instance, do solar cells cause harm? 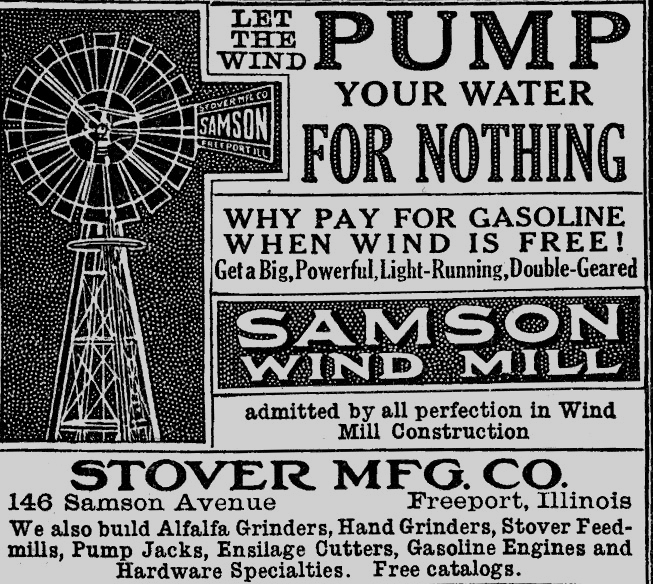 Why can’t engineers solve wind power’s biggest obstacle? Why won’t contraception solve the problem of overpopulation, lying at the heart of our concerns about energy, and what will? Anyone may receive a Free Chapter by sharing GreenIllusions.org on Facebook. Why Do Academics Overlook Overpopulation? I’ve recently been studying how much research funding and attention goes into topics such as overpopulation and consumerism in comparison to energy production technologies. As I describe in Green Illusions, there are reasons to critique the presumption that alternative energy technologies will lessen environmental impacts of humans on the planet. Meanwhile, research on consumption and population issues pales in comparison. At least by the numbers. On one of the largest academic social networks, Academia.edu, 2,934 academics list “renewable energy” as a research interest. Just 221 list “consumerism.” A scant 4 list “overpopulation” as a focus of their research. Academia.edu represents just a subset of the academy. However, these raw publication and interest metrics bring up some important questions. The University of Wyoming removed a sculpture that links coal use to climate change and beetle infestations after it upset University donors, according to a New York Times article and Green Blog post. 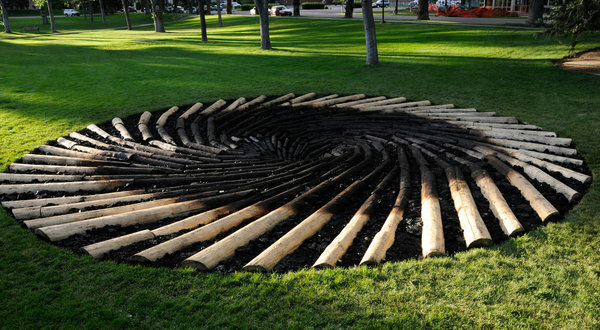 The idea behind the sculpture that appeared on the University of Wyoming campus about 16 months ago was simple but provocative: a swirl of dead wood and lumps of coal, intended to show the link between global warming and the pine beetle infestation that has ravaged forests across the Rockies. But in a place like Wyoming, where the oil, gas and mining industries are the soul of the economy, some view such symbolism as a declaration of war. Read the full New York Times article. Even though most transit in the United States is slow and unreliable, Americans still overwhelmingly support public transit funding. I wonder how Americans would react to dedicated transit lanes, comfortable buses, and reliable schedules? What do you know about slavery today? We generally think of slavery as something of the past but slavery in its many forms persists today, perhaps in your own community. This is the topic of a new film, Not My Life. I got a chance to see the film before its October debut at the United Nations Film Festival, where it is an official selection (you can too with a donation). Not My Life presses beyond conventional portrayals of trafficking to expose the complexity of human exploitation and the very systems of power that reproduce it. 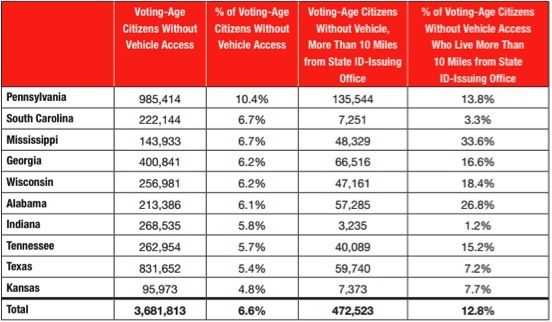 In the United States, democracy is designed for those who can drive – especially in states with new voter ID laws. Suburbia is upping the bar of democracy for poor Americans according to a study by the Brennan Center for Justice at New York University School of Law [PDF]. For instance, a third of Mississippi residents without vehicle access live more than ten miles from an ID-issuing office. In a state with little public transit infrastructure, the stresses on democratic representation become monumental. Of the voter ID states, Pennsylvania is the largest investor in transit at $94.77 per resident. Compare that to New York, which invests $224.85 per capita in transit, the nation’s highest. Meanwhile, Wisconsin spends $22.31 per capita on transit. Indiana just $8.63. Mississippi and Georgia invest less than a dollar. The State of Alabama invests nothing. Fran Taylor from DC Streets Blog claims that “new state laws mandating photo ID for voters threaten to disenfranchise nondrivers, and the skewed elections that would result could lead to political control by forces hostile to transit, cities, and even Safe Routes to Schools.” As fossil fuel prices become more volatile, so may legislative support for the very transit investments we’ll need to deal with the shocks – investments that citizens overwhelmingly support. The United States is a country of freedom and democracy for all. If you can get there. If his goal was to capture attention by tweaking the nose of clean-energy enthusiasts everywhere, Ozzie Zehner might well have succeeded. His new book, published last month and provocatively titled “Green Illusions: The Dirty Secrets of Clean Energy and the Future of Environmentalism,” takes on what Zehner considers the sacred cows of the green movement: solar power, wind power and electric vehicles, among others. Of course, the book is much more than just this, and Zehner, a visiting professor at the University of California, Berkeley’s Science, Technology & Society Center, describes himself as being neither for nor against any particular energy source. Indeed, his core objection appears to be with technology fixes in general, or the conviction that any bit of technological derring-do — be it a high-efficiency photovoltaic cell or a low-emissions vehicle — will be sufficient to nudge the planet from unpleasant trajectories like global warming. Such beliefs, Zehner argues, can blind policymakers and other stakeholders to the attending downsides of any new innovation (there always are downsides); to other, arguably less expensive solutions; and to other pressing global problems. When is “green” technology a bad thing? See more about the environmental book John Perkins is endorsing.